George Ford says his battle with Owen Farrell for England's number 10 jersey has become an "obsession" for people outside the England camp over recent years. 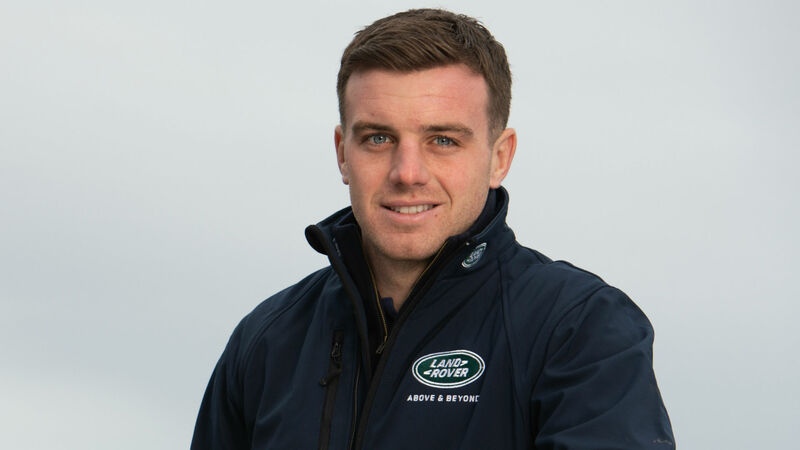 Farrell had generally been utilised as a centre in a system that accommodated both men until he was given a run of matches at fly-half in November, with Ford limited to only one start in the four fixtures – a 35-15 win over Japan at Twickenham. With Ford's place in Eddie Jones' first-choice XV now at stake heading into a World Cup year, the perception could be that the rivalry between Ford and Farrell will intensify. But Leicester Tigers man Ford insists he will always put the team ahead of his own personal ambitions in pursuit of international success. "I think people get a little bit obsessed with it, to be honest," Ford told Omnisport, speaking on behalf of Land Rover at an off-road driving event. "I think at the end of the day we want to both be part of a successful England team and that's what we're going to try and do because selection is up to Eddie and the coaches and whatever our roles are within that, we'll do it to the best of our ability. Because we want to be successful and we want to be a successful English team. "I think we'll both try and improve and develop our games for ourselves but also for the good of the team as well so we can win games." England were shock fifth-place finishers in last season's Six Nations and begin this year's championship in Dublin on February 2 against an Ireland side who completed the Grand Slam with victory at Twickenham in 2018. "We don't want that [finishing fifth] to happen again," he continued. "I think from campaign to campaign. After that we went to from the South African tour [a 2-1 series defeat] to the autumn, we became tighter as a group and we took certain aspects of our game to a new level. "We feel like we're improving and getting better but also feel there's a fair amount to go in terms of how good we can be. It's exciting for us as a team and we'll take each game as it comes in this campaign." On England's Six Nations opener against Ireland, England team-mate Maro Itoje added: "It's going to be a great game. "I'm sure it's going to be a very dramatic game, two teams going at it and trying to get the result for their respective nation. It's going to be great. "As a player, hopefully I am looking forward to be part of it, and as an England fan as well, I'm looking forward to watching it back."